Take Highway 51 north out of Wausau, Wisconsin and farmland will turn to woods which will soon be surrounded by scenic lakes. Here you will be in the Great Northwoods of Wisconsin. 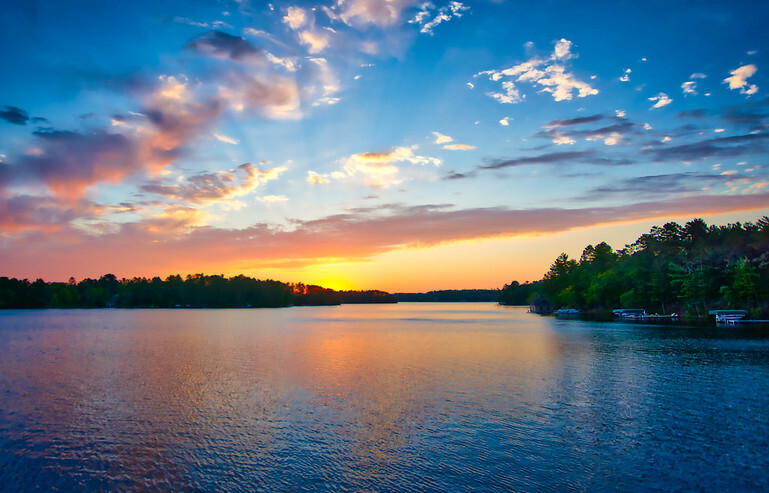 This is a view from the Highway 51 bridge of a sunrise on Lake Minocqua. This bridge, crossing into the town of Minocqua has plenty of space on either side for walking and taking photos. Instead of a tripod you can simply support your camera on the rail to steady the camera. Just do not take the image while a truck is crossing or your photo will be blurred!